You can never have tu, tu much Tula! Happy Early Birthday to me! Bam and Papa surprised me on Friday with something fabulous…it’s an entire mystery quilt kit using Tula Pink’s hottest newly released line, Fox Field! Her fabric designs keep getting better and better! 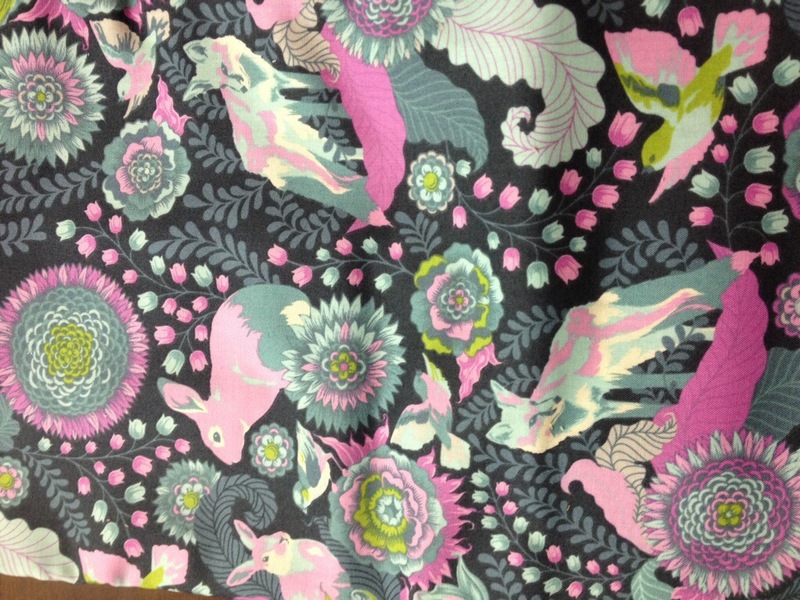 I love, love, love the bunnies, foxes and birds. She taps into sweet subjects without making them childish or saccharine. 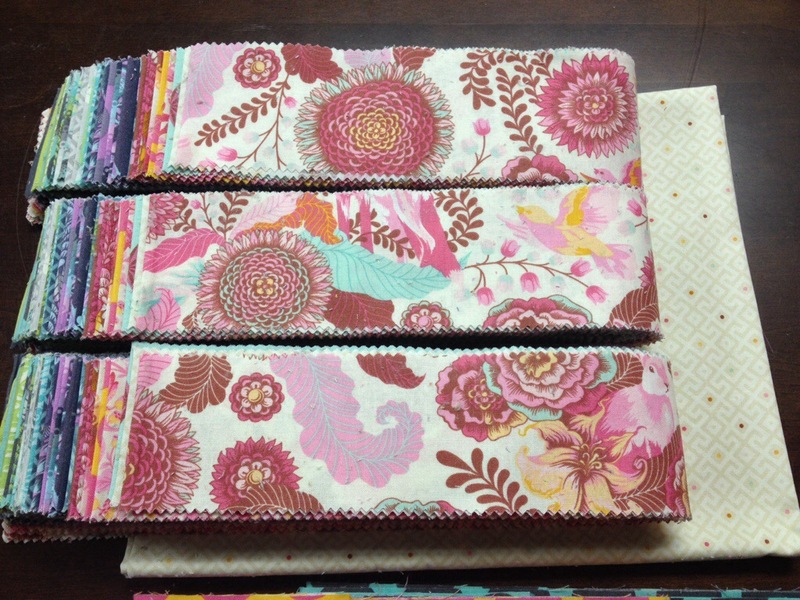 They have a whimsical, dreamy quality and the colors from most of her collections blend well together. I cannot wait to get the pattern for the first block! Endless thank yous and kisses to Bam and Papa! 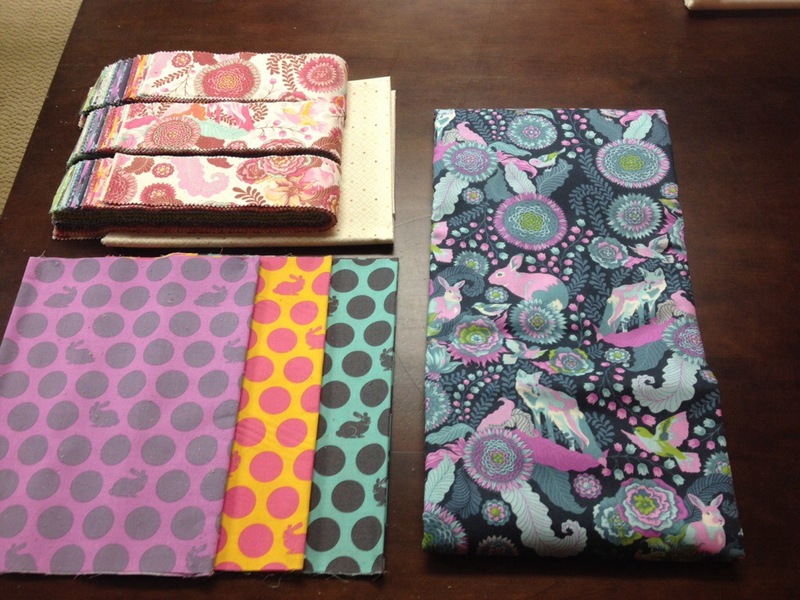 As I mentioned above, I’m a little obsessed with Tula’s fabrics. 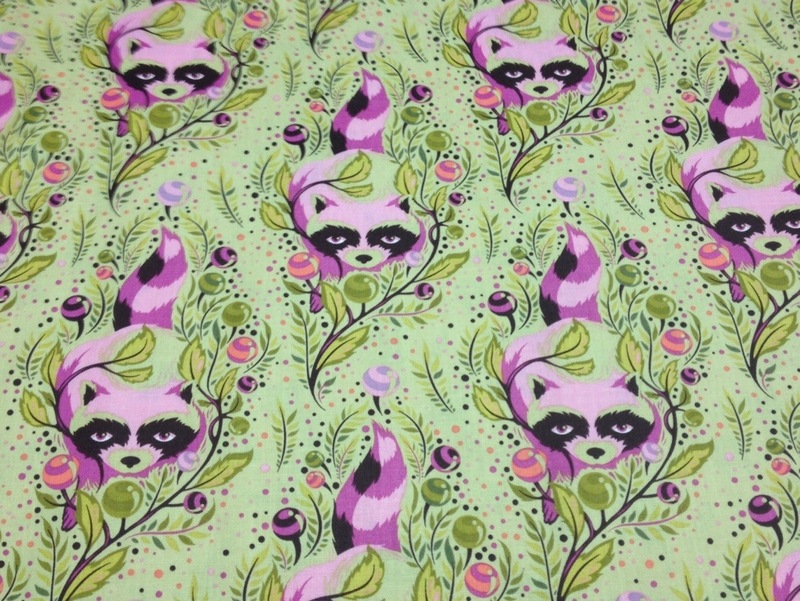 Her Acacia line features the most adorable raccoon! 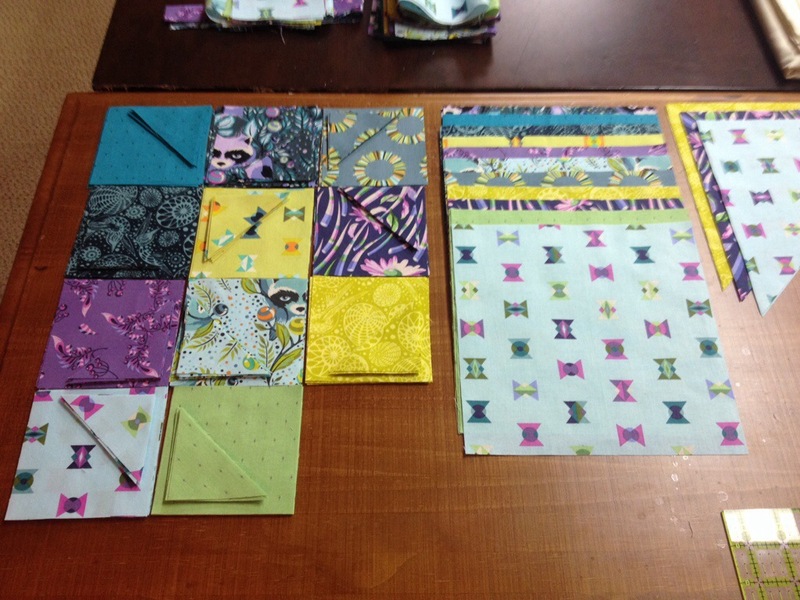 I ordered the gorgeous starburst quilt that she had put together for American Patchwork & Quilting magazine and finally got the fabric pressed and prepped for cutting. 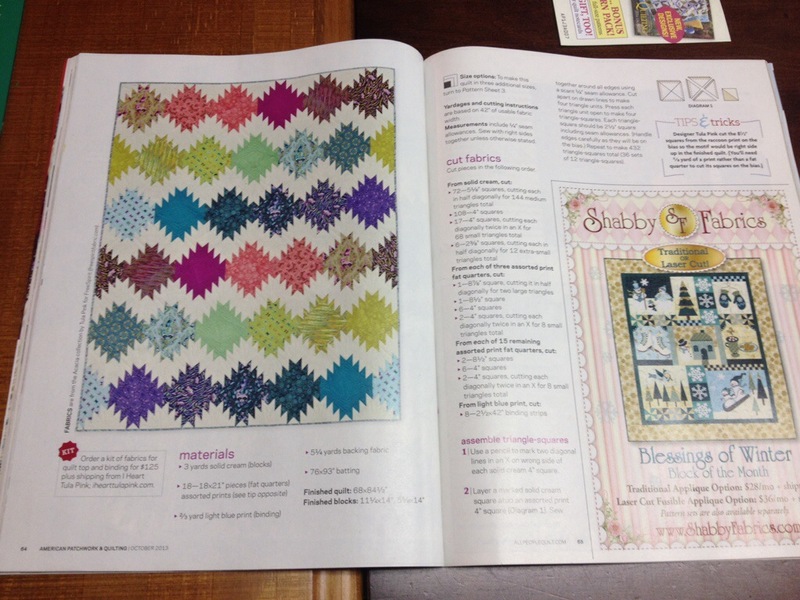 When this stunner is complete, it’s definitely going to Bella for quilting! I’ve been slacking a bit on my quilt tops lately, since we traveled to Miami and warmer weather enticed me back to jogging and volleyball. During my down time, I’m catching up on two embroidery projects…the marathon (13 years and counting) Claire Murray bunny pillow front, and The Frosted Pumpkin Stitchery twelve month sampler (currently only a YEAR behind schedule!). 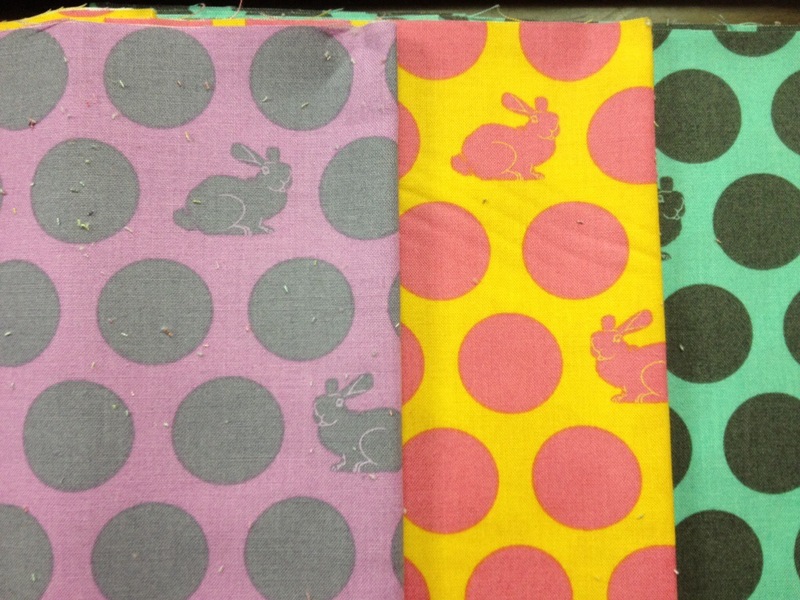 I’ll post a photo of the pillow when it’s done…in a week at most. I know…who takes over a decade to finish something? Me, apparently. I refuse to give up on it. 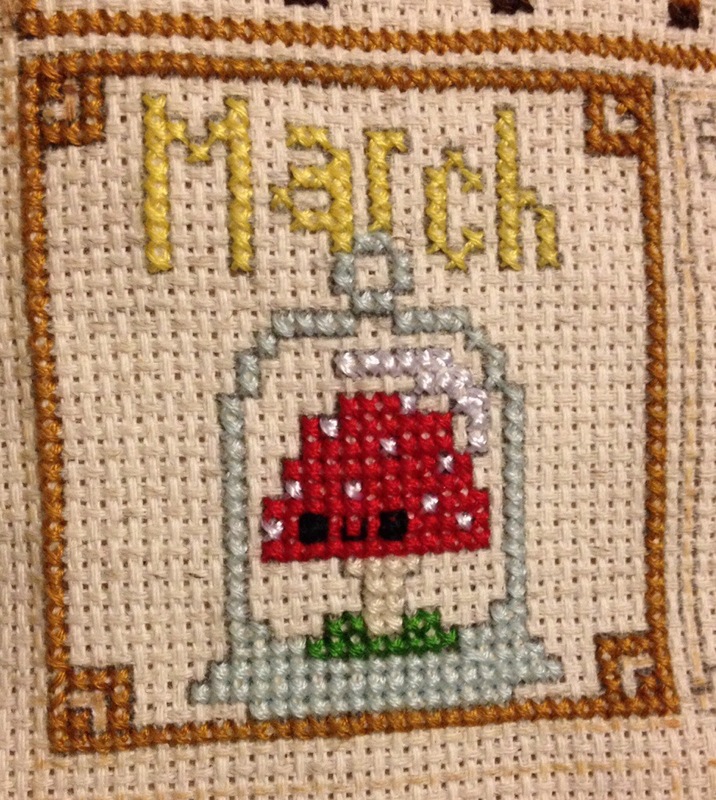 For now though, my latest small triumph is the March Mushroom. Next month…the April Jackalope! This entry was posted in animals, art, Bam, Birds, Family, Gift ideas, Girl quilt, grandfather, grandmother, holidays, Polka Dots, Quilt, Quilt blocks, Quilting, Seashell, sewing, Tula Pink, Uncategorized, Volleyball and tagged Acacia, American Quilting & Patchwork, birds, Bunnies, Claire Murray, embroidery, Fox Fields, foxes, jogging, quilting, quilts, sewing, The Frosted Pumpkin, Tula Pink, Volleyball. Bookmark the permalink.